When I first heard about Zu Warriors from the Magic Mountain I was very intrigued. Produced by Raymond Chow, Directed by Tsui Hark, and staring Sammo Hung, Yuen Biao, Corey Yuen, Brigitte Lin, Damian Lau, Adam Cheng and many others. It took me several years before I was able to rent a copy of the movie and even then it was edited down to just 55 minutes out of the original 110 minute movie. Why do western publishers/distributes insist on editing movies down! They could have used the same budget that it takes to splice and reconfigure the film into proper subtitling that explains cultural differences like I’ve seen in some movies from the Criterion Collection or in almost every fan subbed film where they subtitle dialogue, writing, cultural meanings that help foreign viewers understand and enjoy the film better. The Movie starts out with Di Ming Qi (Yuen Biao) who is a scout for the western army (who wear blue uniforms) and reports to the two generals that the Eastern Army (who wear red uniforms) have scattered before them. One general says attack by land, the other says attack by water they both ask Di Ming Qi who he will obey. Di Ming Qi replies, “Both of you!” Traitor they shout, so Di Ming Qi replies, “None of you!” again the two generals shout traitor and order the Western Army to kill him. This should set the tone for most of the movie light humor mixed with great martial arts action! 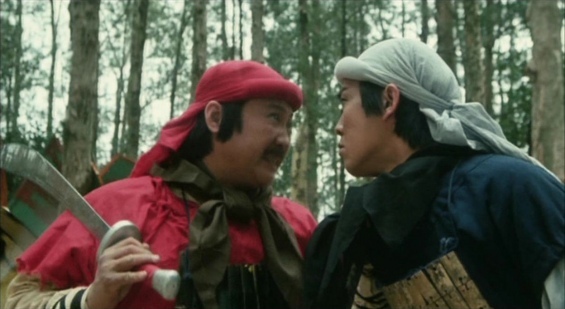 The next action scene is between Di Ming Qi and a Eastern Soldier played by Sammo Hung (I wonder if the mustache he is wearing is real or not?). I you have ever watched movies such as Magnificent Butcher (1979) and The Prodigal Son (1981) then you already know how fantastic any scene these two veteran actors appear in together can be. Not too long after Di Ming Qi gets attacked by an evil sect and must be saved by a celestial warrior Din Yin of Nam-Hol (Adam Cheng) from here on in it’s celestial warriors and fantasy encounters on an epic scale. 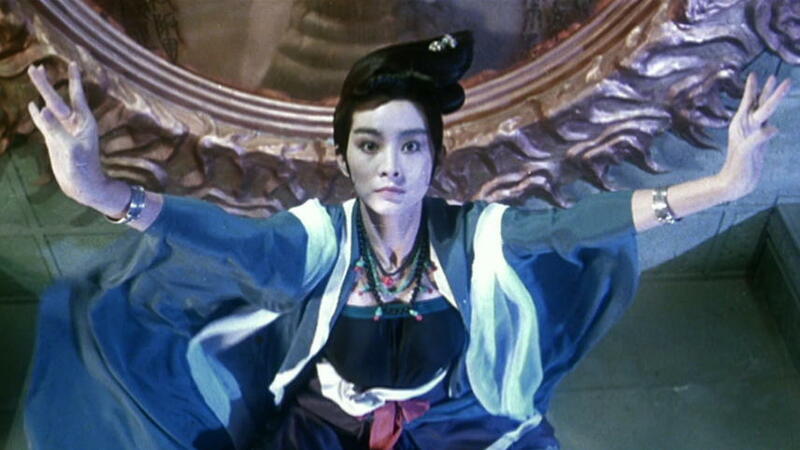 The film was nominated for five Hong Kong Film Awards in 1984 Best Action Choreography – Corey Yuen, Best Actress – Brigitte Lin, Best Art Direction – William Chang, Best Film Editing – Peter Cheung and Best Picture. I’ve read reviews where they complain about the special effects but this movie is over thirty years old and such complaints are hold no ground with me. 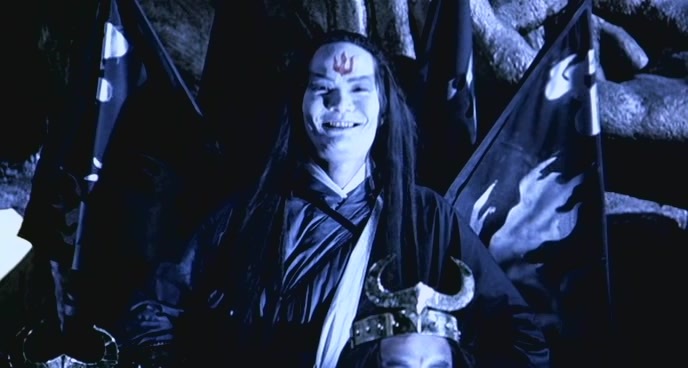 Trivia:American filmmaker John Carpenter has stated that Zu Warriors from the Magic Mountain was an influence on his 1986 film Big Trouble in Little China. 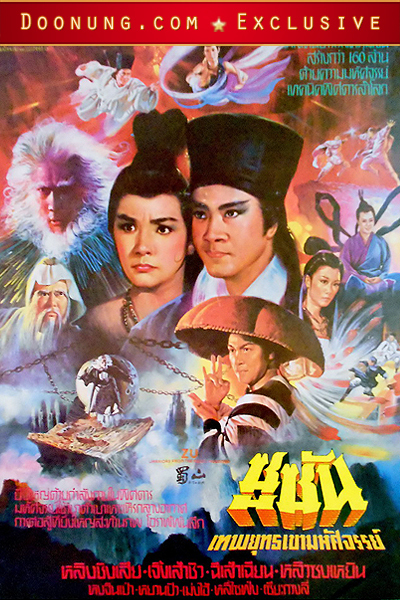 Trivia: Adapted from Lee Sau-Man’s martial arts novel, the film manages to squeeze 50 volumes into a 110 minute film. 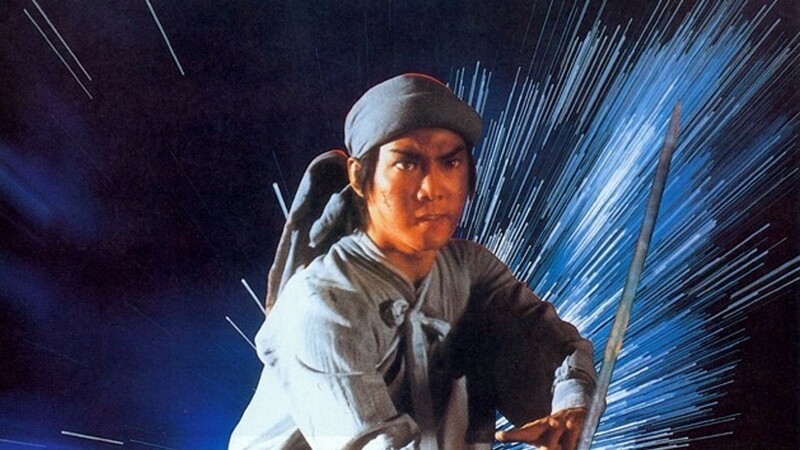 This entry was posted in Martial Arts, Swordsman, Wuxia and tagged Adam Cheng, Brigitte Lin, Corey Yuen, Damian Lau, Golden Harvest, Hark Tsui, Raymond Chow, Sammo Hung, Yuen Biao. Bookmark the permalink.